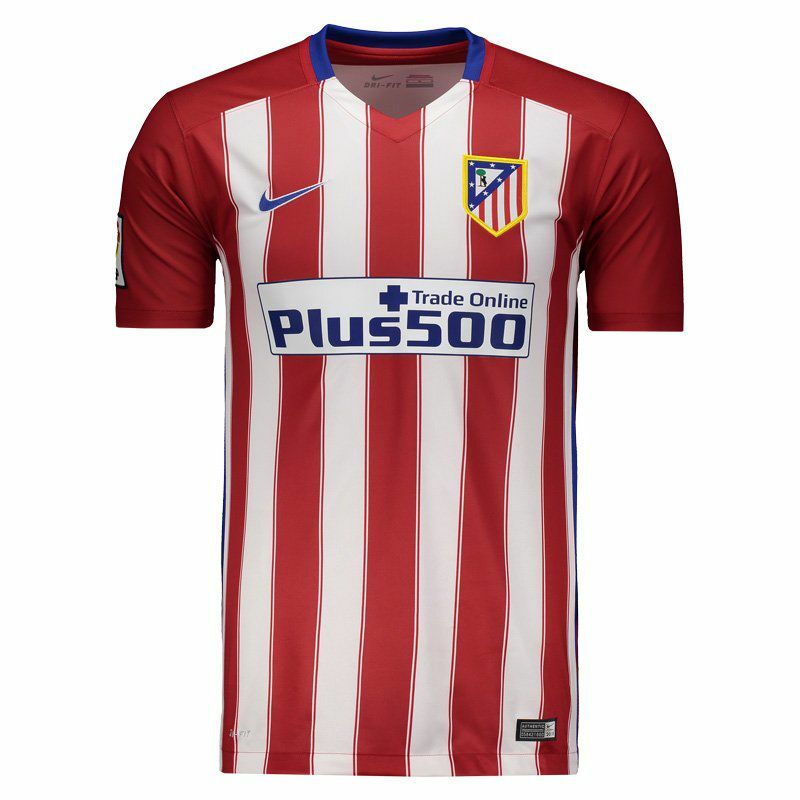 Nike Atlético de Madrid 2016 Home Jersey More info. 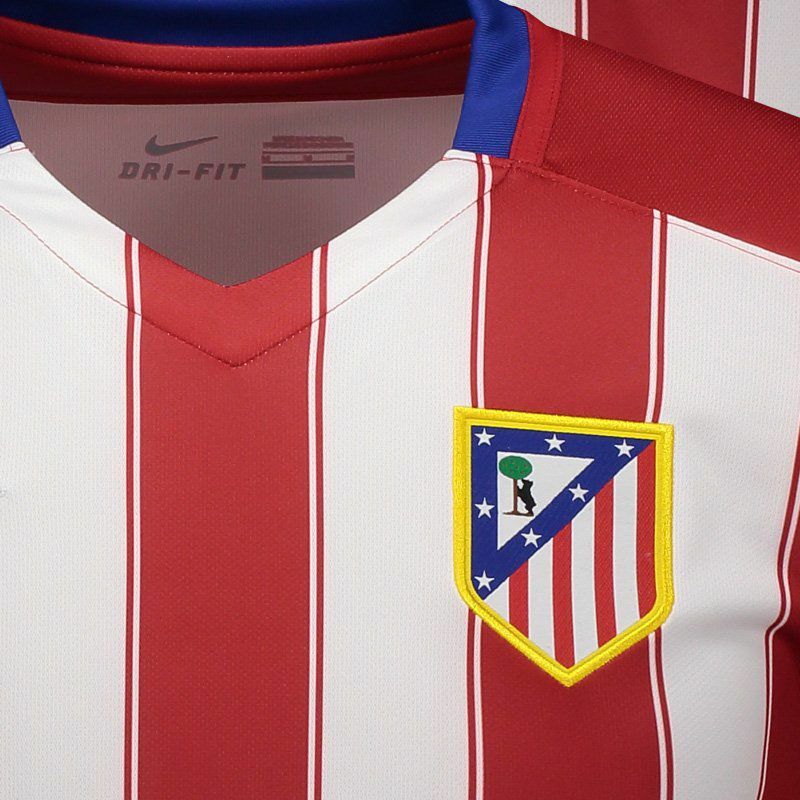 The “Atleti” will take the field in this beautiful Nike Atlético de Madrid 2016 Home jersey, that celebrates the 20th anniversary of the titles of King's Cup and of La Liga in the 1995-1996 season. Along with the main color red it combines white and blue details. It also features the Spanish flag inside the collar which shows the anniversary dates of "1995/96 - 2015/16". 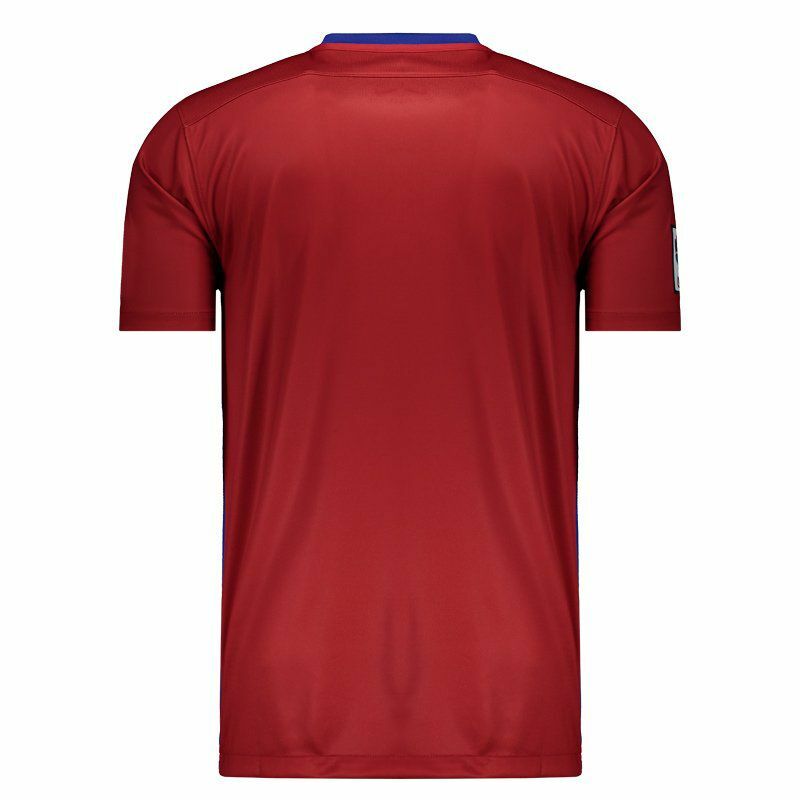 Made by Nike of recycled polyester fabric, it has Dri-Fit technology that repels sweat from your body, helping to keep you comfortably dry. 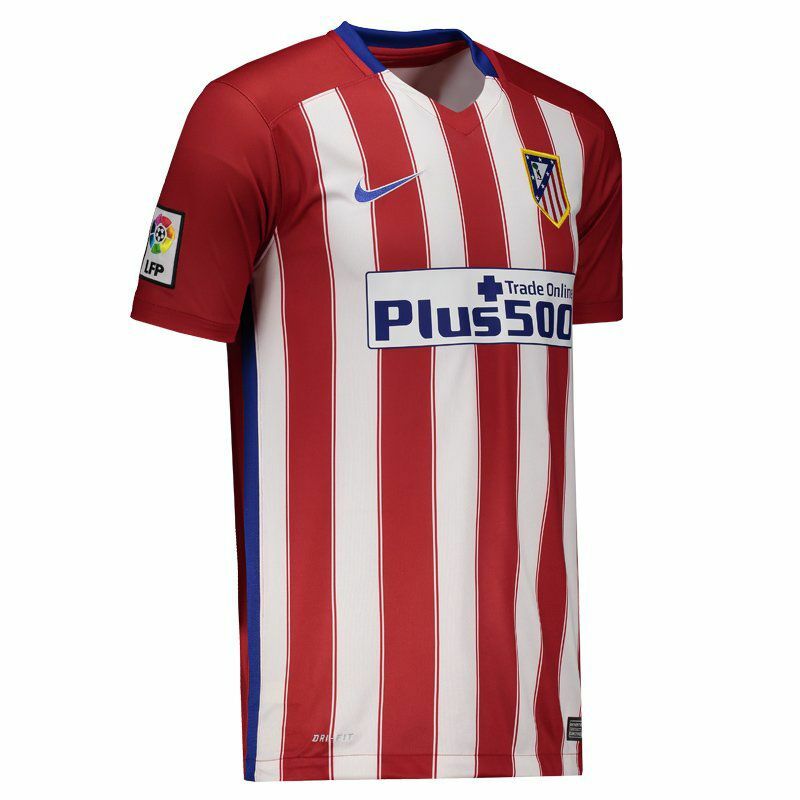 Club Atlético de Madrid is a Spanish soccer club based in Madrid and is currently playing in La Liga.